Businesses complained of assaults on employees, open-air drug activity and "erratic behaviors fueled by substance abuse disorders," asking public officials to deal more effectively with repeat offenders. Groups representing Seattle businesses and residents Monday pressured Mayor Jenny Durkan to address “failure” in the justice system that doesn’t deal adequately with repeat criminal offenders, making the city less safe. Offenders with a pattern of homelessness, drug addiction and mental illness often fail to appear in court and ignore court orders, making it difficult to hold them accountable, according to the study of 100 repeat offenders released Monday. 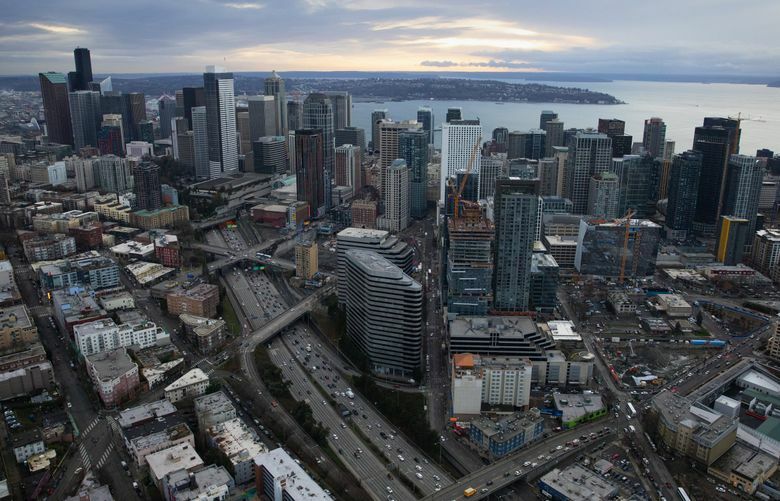 Seattle has struggled for years to find a consistent approach to deal with habitual street crime, most recently amid an influx of affluent residents attracted to its technology companies and booming economy contrasting with a growth in homelessness and drug abuse in part due to a decline in affordable housing. Durkan, addressing reporters at a separate briefing on homelessness, said she is working with local police and prosecutors to determine if there is a subset of chronic offenders and, if so, how to deal with them. “We know from previous other criminal conduct you can’t just arrest your way out of it, but you can make sure that the people who are the most prolific offenders get arrested and get charged and stay in jail,” Durkan said. Expressing confidence in Durkan’s ability to address the issues, representatives of the groups said at a briefing Monday that they are willing to work with public officials and continue investing money to help deal with the problem. The report grew out of a public-safety forum in October, where 200 business and community leaders appealed to the city to tackle homelessness and crime. The research was conducted by Scott Lindsay, a former candidate for city attorney and public safety aide under ex-Mayor Ed Murray. Lindsay based his findings on an analysis of 100 people with a high number of recent bookings into the King County Jail. Overall, they were responsible for 3,562 criminal cases, including theft, burglary and assault. All displayed signs of homelessness and substance abuse. Thirty-eight people suffered from mental-health issues. “The sample group of prolific offenders analyzed here had consistent patterns of criminal behavior — they very often committed the same crimes in the same neighborhood over a period of months or years,” the report said. Many of the crimes stem from thefts to pay for drugs. “A typical narrative for this population involves shoplifting at major retail establishments across the city followed by trading those stolen goods for cash through a stolen property broker, often at 3rd and Pike Street,” the report said. About 40 percent of the offenders showed clear signs of significant mental-health conditions. Half of those had a history of serious, unprovoked assaults on innocent victims, according to the report. And some offenders repeatedly resist arrest and threaten or assault police officers, the report said. All of the offenders had multiple cases in which they were given pretrial conditions or sentences. In virtually every case, they failed to comply, according to the report. Many people were released from jail at midnight, putting at risk those who are homeless and struggling with substance-abuse disorders and mental conditions, as well the community, the report said. Seattle Times Staff Reporter Daniel Beekman contributed to this report.